How will the customer experience be improved by this? Please send your feedback and ideas for people you would us to interview to ernan@erdm.com. Beau Avril is Google's Global Head of Product Commercialization for Google Preferred. He is responsible for bringing Google's premium video solutions (Google Preferred) to global markets. He also has oversight of YouTube's "Partner Sales Program" which enables shared inventory sales between Google and YouTube's multi-channel networks. Previously at Google, Beau led YouTube sales development for priority accounts in the Finance, Auto, Entertainment, and Travel industries. Before joining Google, Beau worked in programming distribution for CBS Television Distribution Group. Beau attended Cornell University and lives in New York City. The intersection of technology and media is the most important topic for me. Audiences, especially younger demos, are consuming video content in a dramatically different way. The entire video experience is becoming interactive and personal and it is happening largely outside the living room on mobile devices. 50% of watch time on YouTube is mobile and it is growing at 90% y/y. For millennials, the concept of "watercooler" programming is no longer about 5-6 hit shows on TV - it's about personalized entertainment within online video communities, many surpassing the reach of the largest cable/TV networks. For the first time, great data can tell us true fan passion in these communities, beyond views/impressions. Shifts in consumer behavior are happening faster than marketers are adapting and a new approach is needed. Younger audiences are migrating away from TV and instead are connecting with their favorite YouTube creators and online personalities. To adapt to this change, marketers still need to reach young consumers with their most powerful asset (video), but they need to reach them when they are willing to receive a brand's message. The old model of securing a premium placement around popular TV shows in a cluttered ad environment will not make impact on millennial audiences. Marketers need to reach them when they are "leaning-in" to the content. Key data signals can help identify these places - they will define the new premium content. If you think about the traditional TV model, what's missing is a real time feedback loop that can truly impact what you will see tomorrow, and the next day. Platforms like YouTube make this possible because social interaction is part of the core video experience. Users can respond in real time to their likes and interests and creators can develop their content according to what people want to see. This can happen within a few hours or even minutes. This creates a deeper commitment to the content and its creator. Beyond social enablers, online video is different in the sense that the talent develops a true personal connection with his or her fans. They create content without scripts; express raw thoughts, emotions, and points of view. This makes them more relatable and as a result they are perceived as friends to their fans, versus celebrity icons. In fact, a recent study by Variety (Q-Scores) found that among young audiences, YouTube stars are more popular than mainstream stars. This research should send a powerful message to marketers. Historically, access to "on screen talent" has always been guarded by talent agencies and studio executives. Now, the walled gardens are coming down. Investing in these emerging creators via advertising is key in driving an innovative video ecosystem and more meaningful content experience for users. Reaching consumers while they are engaged with their passions facilitates receptiveness to brand messages, which increases marketing effectiveness. [Tweet this] Last year, Google launched a real time measurement product called "brand lift surveys" enabling brands to see real time impact of their video investments on YouTube. We found there is a strong and positive correlation between ad recall and the amount of passion, popularity, and engagement there is on any given channel. The higher the passion/engagement metrics, the higher the ad recall. The ability to measure passion + popularity is a compelling point of difference between traditional media and online video. Over time, this will create better ROI for marketers, as they won't waste ad impressions in places where users aren't paying attention to the ads. Outside of work, my favorite activities include traveling, hiking, and road biking. I love a good ride along the river, over the GWB, and into the Palisades. I'm also an avid foodie; seeking out every opportunity to experience local food and culture, for any good occasion. Inducted into the DMA Marketing Hall of Fame based on results companies achieve with three Customer Experience methodologies he created: Voice of Customer Relationship Research, Integrated Direct Marketing and Opt-in Marketing. ERDM specializes in conducting Voice of Customer research to identify Customer Experience strategies that generate significant increases in response and revenue for clients including IBM, MassMutual, QVC, NBC, Microsoft and Norton AntiVirus. Named by the Online Marketing Institute as one of the "2014 Top 40 Digital Luminaries" and by Crain's B to B Magazine as one of the "100 most influential people in Business Marketing". Ernan's latest book is titled, "Voice of the Customer Marketing". 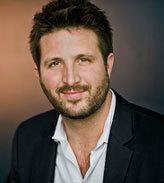 He also writes the widely read and Huffington Post published blog, "Ernan's Insights on Marketing Best Practices".